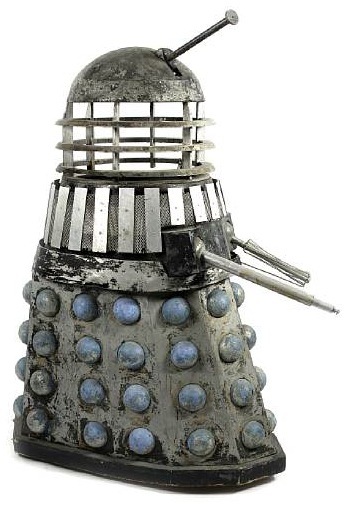 It is believed that the skirt and shoulder sections of this Dalek were used on 'Evil of the Daleks' in 1967. 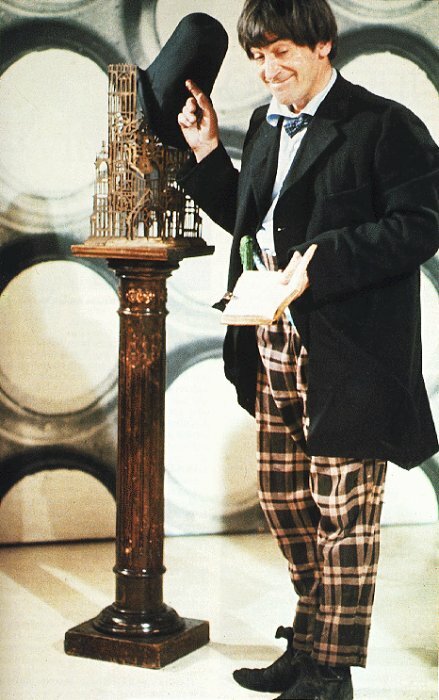 The rear of the skirt section reveals a single panel of hemispheres, however Daleks skirt sections ordinarily feature two rows of hemispheres. The single panel section were used during this particular episode, it has been suggested, so that the Daleks could travel through doors whilst on set. Apparently, this Dalek was created to go through ordinary doors on set and was nicknamed the Wilkie Dalek after Bernard Wilkie, co founder of the BBC Visual Effects Department rescued it from a skip at Ealing Studios in the 1970’s.